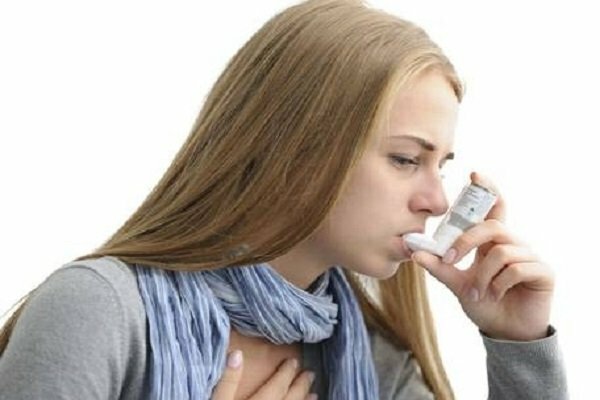 Easy home remedies for getting rid of asthma. Asthma is a disorder of human respiratory system. Asthma is a respiratory problem. This can often be severe and chronic, which in turn causes disruption of the lungs in air circulation. There may be asthma due to allergic, stress, air pollution, cold air, respiratory infection, intense emotions, stored food and other side effects of the disease. Apart from genetic reasons, obesity, chronic allergy and excessive smoking are responsible for the formation of asthma. Whenever breathing asthma starts, sit calm down without panic. Close your eyes and breathe and try to imagine that your lungs are expanding and white is filled with light and your breathing is normal. Do this twice, then open your eyes. If you practice this way you will feel much better. Coffee caffeine is chemically similar to theophylline, which is a good medicine for asthma and it clears the way of air circulation. So one cup can eat hot coffee. Ginger contains many ingredients that are used in the treatment of asthma. Adulterative inflammation prevents contraction of the airway and reduces inflammation of the respiratory tract. Some current studies have shown that there is some material recovery that can relax the muscles of the breathing tube which can decrease during respiratory failure. Therefore, eat 2 cups of ginger every day to reduce breathing difficulties. With honey you can eat honey and eat it. Yellow inflammation has anti-inflammatory components. Primary studies have found that yellow powder can relieve asthma. Drink one cup of milk and mix one spoon of turmeric. Whenever the pain of asthma starts, massage the mustard oil on the chest and back. It will ease the pain of breathing. Keep your house especially bed-room dust-free. Wash your bed sheets with hot water every week. Get rich foods rich in magnesium. Eat foods that contain omega 3 fatty acids. Write down your one-month diet list and keep your asthma symptoms and notes. Food allergic reactions to asthma, so choose food by determining whether your allergic problem is in any food and what you feel better playing. Avoid too much smelling food and perfumes. If you do not have problems with asthma following the above procedures, then you must go to a specialist doctor.